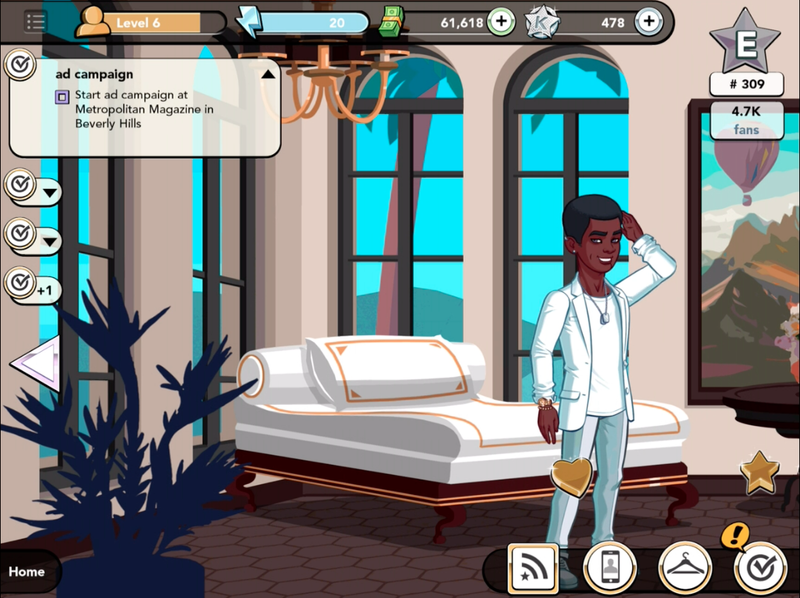 We've been playing Kim Kardashian: My Hollywood for a couple of weeks now on iPhone and Android platforms. We're enjoying our rise to stardom, but it's so much work. 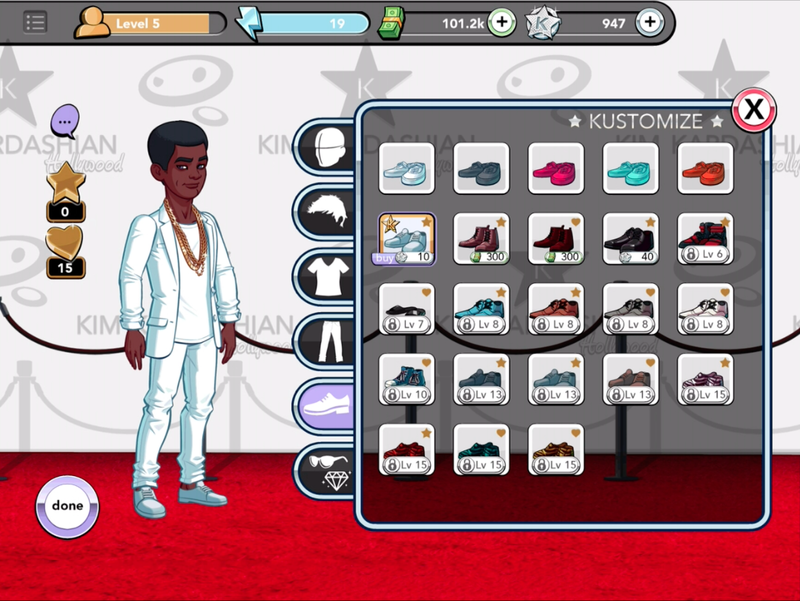 We're constantly on the go doing appearances, meet and greets, commercials and running errands for Kim. It's a lot of fun making contacts and networking our way to the top, but some tasks are tedious, costly and time consuming. 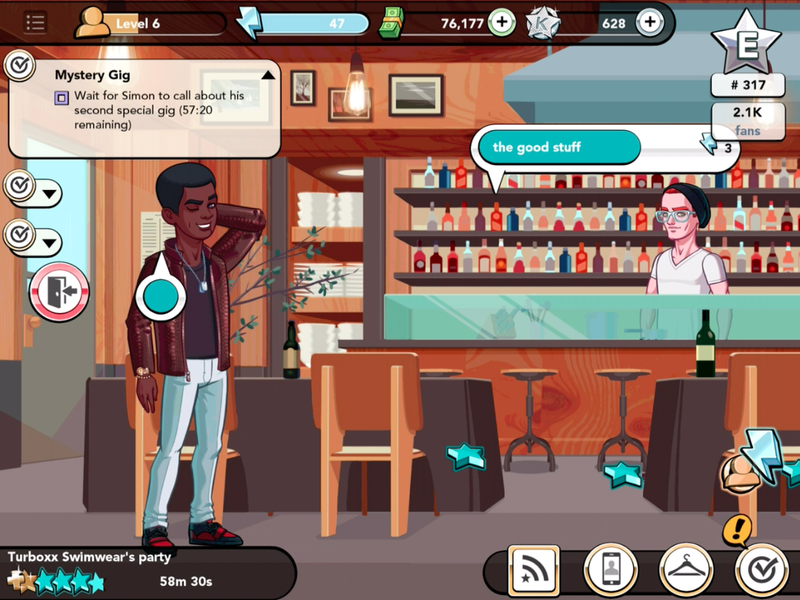 Fortunately, our friends at Glu Mobile hooked us up with some in-game cash and charms, and we're going to share with you the benefits of bling. 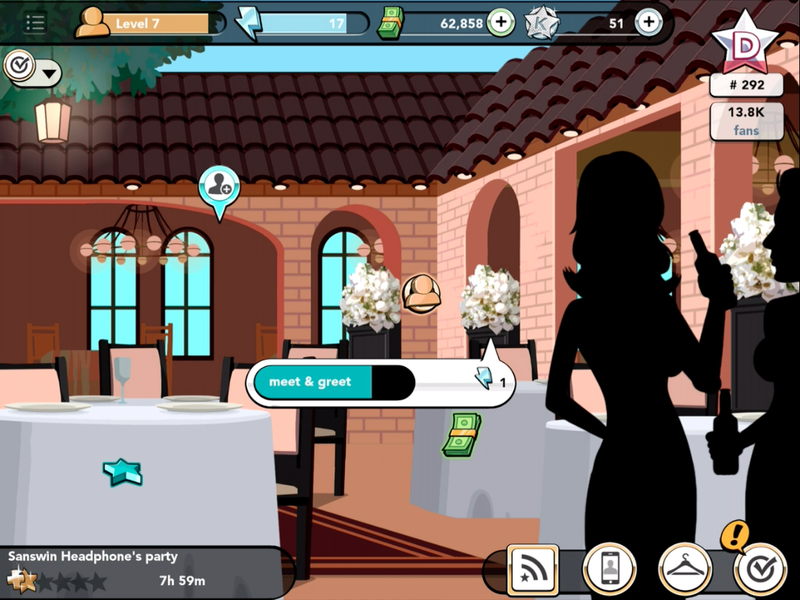 How do I use in-game currency in Kim Kardashian: Hollywood? It's not an easy road to stardom. We put in work playing everyday, gaining fans and networking to be at the beck and call of our very demanding talent agent, Simon Orsik. The cost to reach A-list celebrity status is great, so investing to make that climb a bit easier can't hurt. Try spreading some of the wealth on your friends or your recent date by going to your contact page and sending them gifts of clothing. That's what celebrities do, right? If you have the cash, make it rain, since giving gifts will help increase your rating with a person of interest and make it easier and slightly less awkward when you ask them for favors. Start off by 'Kustomizing' your character a bit, using cash and charm currency time to shed clothes and deck yourself in some nice threads. Upgrading your clothing has more benefits than you just looking good. Every time you purchase clothing it adds to your romantic and professional achievements; these achievements brings their own rewards with cash, charms, fans and energy. Going for the charmed priced items will increase your achievement growth faster than cash items, but if you're about the bling, items that cost charms are the way to go. 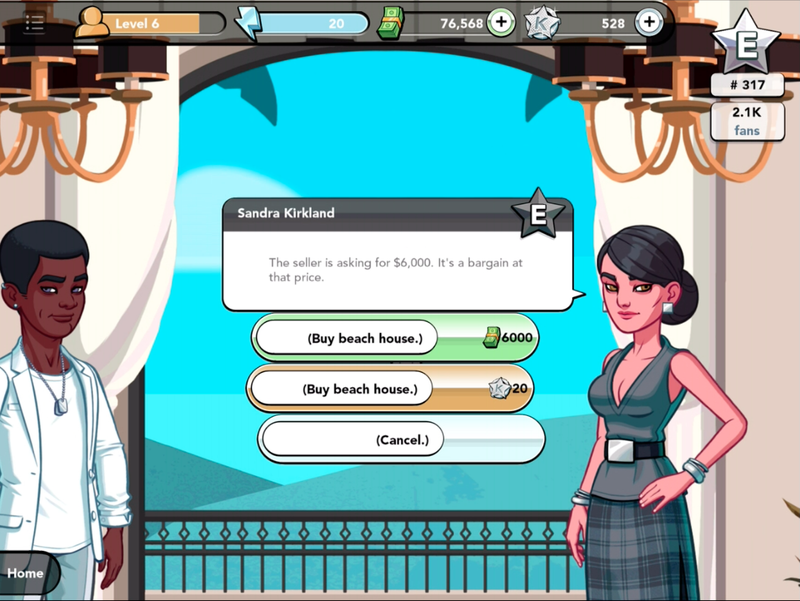 Every once in a while, Kim will hand pick some items for you at a discount. If you don't have the currency, consider getting it, as the discount is great. So you upgraded your wardrobe, but clothes don't make the person. You have to put in the work to be as important as you look. You'll have no shortages of public appearances if Simon Orsik is doing his job right. Go to the events he scheduled for you and leave a star studded impression; meet and greet, club opening or photo-shoot. Make it happen by networking, getting contacts and flirting your way towards stardom. Being the center of attention at these events isn't the easiest of tasks. It requires some charm, money and literally a lot of energy to make your impression felt. Don't be stingy when you're in the lime light. Buy a round to get more fans, or charm someone with your presence to build a better contact. Socializing and networking contribute to your spotlight and socialite achievements. These achievements brings their own rewards with cash, charm, fans and energy. Growing your social status is one of the hardest things to do in the game. Having charms and cash will make the climb to fame a lot easier. Events that will take hours to complete can be done in minutes with enough charm points, allowing you to stack rewards from multiple events to increase your fan base and juice your star listing. We've benefited greatly from having in-game cash and charm currency; from fashion to fandom, you'll have more opportunities to make your mark on Hollywood. Orsik keeps you so busy with commercials, photo shoots and appearances that you have little or no time to enjoy the fruits of your labor. You still have your personal affairs to deal with, like paying rent, furnishing your apartment and finding that special someone that makes this climb to stardom more enjoyable. Take care of your business. Being on the road grinding your way to the top can be overwhelming, so stay on top of your personal business. Take some time to do you by furnishing your apartment or condo; buying a pet, car, TV, couch and decorative pieces makes it a little easier. It also adds to your big spender achievement, which will reward you with additional cash, charm, fans and energy. You've dropped quite a few dollars and popped some bottles with your newfound riches from purchasing in-game currency. As you can see, paying to play does have its benefits, but if you're going to spend wisely, always go for the max amount if you can afford it. The more you buy, the more you get, as it always works out to be cheaper in the long run. So don't be stingy with the green, as it takes money to make money, and if you're enjoying the game as much as we are, a little investment goes a long way.